Mr. Akhlaquddin, who governs the complete manufacturing unit, is a vateran and entrepreneur of KHUKRIWALA Customers can contact him freely for any querry/order and he ensures that it is responded promptly and effectively. KHUKRIWALA: manufacturers & exporters of steel-craft and museum pieces such as Khukries, Daggers, Hunting Knives, Swords, Axes, Handcuffs, Fetters(Gyves), Cartridge Pouches. Armors like Warriors Helmets & Jackets, Fenders, waist-Locks, Swords-sticks, Walking sticks, Bugles, Marine Instruments etc. Each Item is carefully and elegantly hand made with traditional skill handed down to us from centuries of experience and reliability. Our items include show-pieces of historical & ancient figures reproduces to their originality and shape. 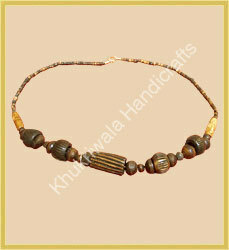 Khukriwala Handicrafts Khukriwala is synonymous to Quality and Excellence. The establishment is situated in a picturesque Doon Valley at foot-hills of Himalayas, surrounded by Shivalik Range of Hill and falls on way to 'Mussoorie' the 'Queen of Hills' (the world renowned Hill Station) in the state of Uttaranchal in India. This establishment was founded as an artisan's workshop in Dehradun which is basically a cantonment area which is the State Capital now. Our products are made by a team of dedicated artisans and craftsmen who are richly experienced in their fields and the products are thoroughly inspected by our Quality Control Personnel at all stages of production. "The Customer's satisfaction" is our motto and we maintain it from procurement of order till it reaches the buyer.